The speed of change challenges even the best searchers to go back to school at WebSearch University. 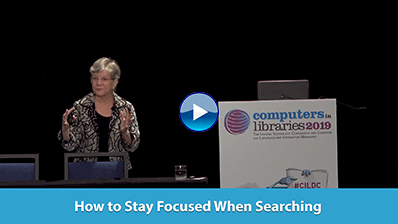 Revisit how you use the internet for research. Rethink your approach to search. Reset your personal search preferences. Renew your commitment to quality searching. The Freedom of Information Act (FOIA) turned 50 on July 4, 2016. Each week of the 50 Days of FOIA campaign leading up to the anniversary highlighted a different theme, such as success stories, technology advances, negative or obstructive agency responses, and legislative reform ideas, around which journalists and advocacy groups were encouraged to share their FOIA stories. The International Federation of Library Associations and Institutions (IFLA) announced that Canada has ratified the Marrakesh Treaty for facilitating access to published works for blind, visually impaired, and print-disabled readers, bringing it one step closer to becoming globally enforced. Blackboard Affiliate Enters Agreement to Purchase Higher One, Inc.
collectionHQ partnered with SOLUS so mutual customers can use the SOLUS Library App with collectionHQ, giving them a more streamlined workflow process for collection management. Thanks to the American Writers Museum, opening in March 2017, readers can learn more about how works of literature are formed, the people behind them, and how both fiction and nonfiction writings have shaped U.S. history, identity, and culture.